Yeah, but: The S100 was the series apex so far. 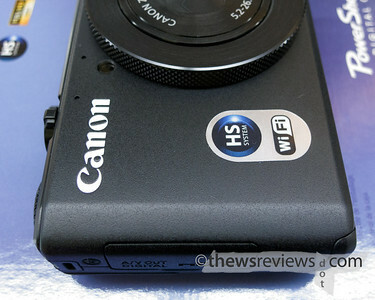 Counter Opinion: Today I met the Canon Powershot S110 for the first time. I own and really enjoy the S100 – my full S100 review is here – so I'll jump straight to my executive summary: assuming the slower f/2.0~5.9 lens can be tolerated then the S110 remains an excellent choice despite its modest differences, and even fewer improvements, from the S100. Feel free to stop reading now if you like, but as always, I do have some subjective opinions as well. The touch screen is well done. I like that it's a consistent and natural interface that lets menu items be selected directly through the screen as well as with buttons, while the menu structure and options still remain essentially unchanged across the past decade. That's a huge plus. The touch-to-focus feature was fun the first time, but by the fifth time it was frustrating: every time I picked the camera up I would change the focus zone. That would be the second thing I'd want to disable if I ever bought this camera – right after the sounds, but before the AF Assist lamp – but that's not an option. The touch-screen and touch-to-focus appears to be a mandatory feature. I also suspect that the autofocus is just a smidge faster than it is on the S100, but I can't prove it; unfortunately I haven't been able to test the S110 in low light, where the S100 tends to embarrass itself. Physical changes: People must have really loved the handling of the S90 and S95, because the finger grip that Canon added to the S100 is gone again with the S110. The black version at least has a grippy finish, but the new-for-2012 white option is slick paint. Counteracting that is a better thumb rest, but it shouldn't be an either/or choice. Richard Franiec is going to love this camera. Another ergonomic problem that must have plagued the S100 was the easy-to-find power button, because it has been moved slightly and made smaller. The back panel functions have remained the same, but the domed buttons of the S100 have been replaced by flat buttons that are harder to find by feel. The S110's profile is also slightly boxier than the 90/95/100, and it has had the jimping ridges along the ring control and mode dial replaced with some industrial-style knurling. 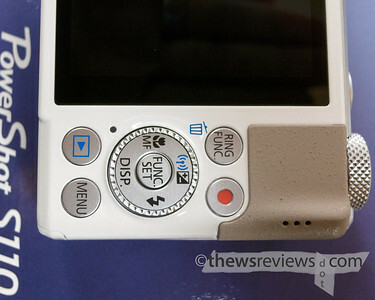 This provides something of a stylistic tie-in to the Canon G1x, which is an odd choice considering its sales success. Or lack thereof. Overall, I have to say that the S110 avoids the slightly luxurious feel of the S100. My two biggest complaints about my S100 haven't been resolved. The ring control is still laggy – the camera isn't able to 'stack' commands, so if it can't call up the on-screen indicator for what the ring controls, then turning it has no effect. The other problem is the f/5.9 aperture at the telephoto end of its lens range. With those two hanging over it the S110 remains a camera to be anticipated and compensated for, and no matter how good it is, it doesn't overcome being a point-and-shoot. And the world changes: Canon pulled off a cute trick with the S100: they snuck in an extra generation that Olympus and Panasonic didn't have an answer to. That newness made the S100 better than the XZ1 and LX5, and its smallness ensured that it appealed strongly to a market all on its own. Today the Olympus XZ2 remains big, Panasonic has gone the wrong direction with the LX7, and Nikon – never a serious competitor with its compacts – has chosen this moment to G7-ify its P310 and remove its raw mode. The G15 and X10 are both much bigger cameras, and don't really play in the same space as the S-series. The only real competition that I see in the pocketable high-IQ category is the unreleased Fuji XF1. I've been able to use one and was impressed, and it's certainly an upcoming camera to watch for, although it will be hard to justify its launch price. Finally, there's also the Sony RX100, but calling that 'competition' to the S110 is being kind – it's in its own class as far as both quality and cost is concerned, even though it's only slightly larger than the S110. If the price isn't an issue, then the RX100 is an easy call; if it is an issue, then the S110 is also an easy call. That's not a bad way to solve a dilemma. 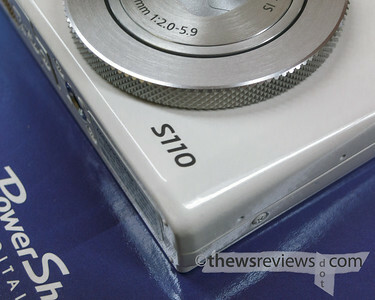 I can't say that the S110 is the best on the market any more, but if you can't find an S100, it's not a bad substitute. I like how short the review is but still full of info. BTW, I've been googling around and still unable to find out whether the wifi can be disabled. Any idea? I've had a chance to work with the wifi of the S110 and my iPhone (via the 'Canon CW' app), and it's not quite what I expected. The camera doesn't keep a wifi connection open and work in the background the way an Eye-Fi card does, or use its antenna to intermittently listen for signals the way the GPS on the S100 does. Instead the S110's wifi can only be enabled during image review, and needs to be turned on for every specific time it's used. I've only use the S110 with my iPhone in peer-to-peer mode, which involves going into image review on the S110 and then hitting wifi button on the four-way controller – the antenna symbol in the top position. The camera asks what kind of network it's connecting to, and I selected the phone icon. The camera then turns on the bright blue 'wifi' light on the top panel and creates a wifi network, showing its name and password on the screen, and I had to type that in to the phone's wifi controls. Finally, with everything connected, I could choose specific photos to transfer. Exiting the image review mode terminates the wifi connection and the 'wifi' lamp on the top panel goes out. I also own a S110 camera, and that explanation about wifi was very useful for me. I love to take pictures during airplane flights (I usually sit near a window), but usually wifi equipments must be off during flights. So to use this camera inside an airplane I must be 100% sure that the wifi is off during the whole flight. Now I can use my camera inside an airplane without worrying too much. After your explanation, it seems that there should be no problem. Is that right? Well, I'd hate to try to guess at what is or isn't allowed on flights these days, and obviously you should follow all of the instructions of every person you encounter with a name tag, ID badge, or uniform during your travels. But I did try out the S110 again just to make sure, and I can't see it having any issues with the wifi system broadcasting when it isn't expected to. Hi Matthew. I contacted Canon and I told them that I like to take pictures during flights. I asked them when does the S110 turns on the WIFI. "In order to enable the wifi feature you have to either be connected to an access point or tell the camera to search for a hotspot. If you are not in the menu choosing these options then the wifi feature would be disabled and not broadcasting so you should be fine to use the camera on an airplane to take pictures." That was a good news! Good to have a definitive answer. Thanks.